(Ontario, Canada) Jettly has taken another step toward making the entire travel booking process easier by announcing integrations with Certify and Expensify. With these new integrations in place, users can push their Jettly bookings and travel expenses directly inside the platform. This is an exciting new trend. The convergence between business travel and expense reporting and corporate bookings is now clear and hassle free. In the past, corporate booking was something that happened before a business trip and expense reporting occurred after. 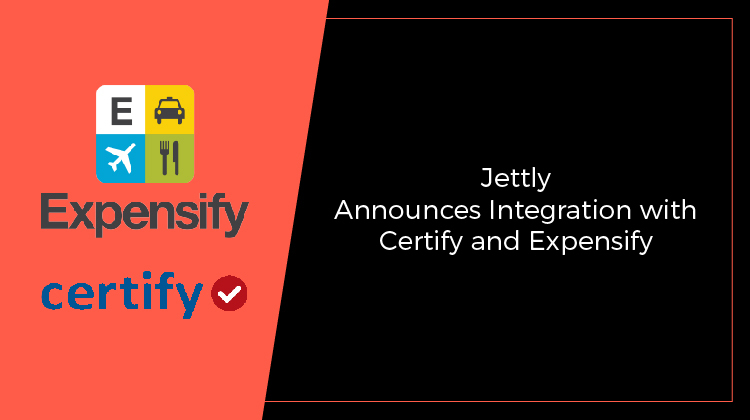 Now everything is overlapping in the middle and Jettly’s new integration with Certify and Expensify make the entire process hassle-free. Additional information about this new integration and how it is helping to revolutionize the travel industry can be found on the Jettly website. This announcement by Jettly illustrates the ongoing dedication to customer satisfaction the company has by continuing to offer superior features to the travel booking process. Jettly is a private jet charter company that believes travel should be luxurious, quick and simple for everyone. Regardless of if a person is traveling for business or pleasure, they will find the search tools available by Jettly are superior to other options available online. The company is considered to be a leader in the travel and private jet charter industry and with just the touch of a button, travel customers can find mobile and web charter booking, as well as end-to-end support during the entire process. Customers can find travel accommodations that meet their needs, regardless of how much time they have to plan.